Best's Winemaker Justin Purser with Ben and Viv Thomson. 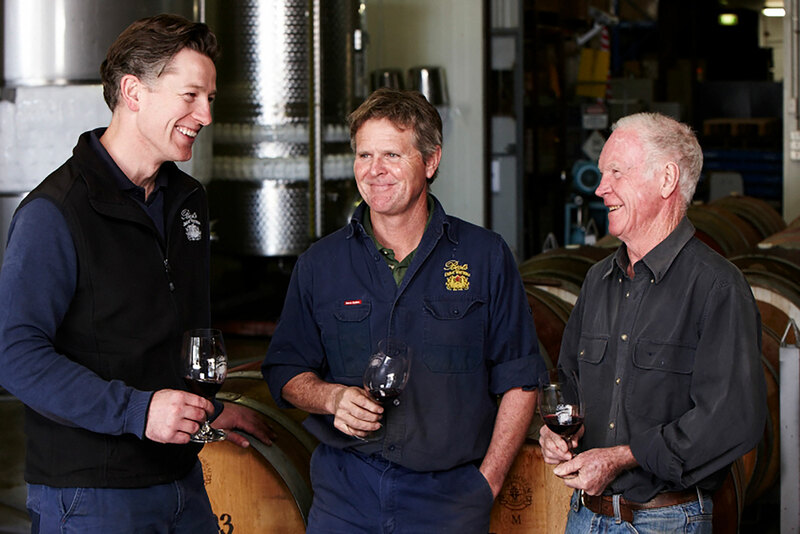 Best’s Wines and the Grampians subregion of Great Western are practically synonymous. It is the largest winery to have the geographical indicator of “Great Western” on its labels, and it has just grown even bigger, recently increasing its vineyard holdings. Best’s Wines was founded in 1866 by Henry Best and bought by the Thomson family in 1920. It’s now run by fifth-generation family member, Ben Thomson. The purchase of the old Hyde Park vineyard, to be known as Sugarloaf Creek Vineyard, will increase the Thomson family’s area under vine by 114 hectares. The vineyard is predominantly planted to shiraz, with some cabernet sauvignon and a small parcel of merlot.